Day-long community service effort provided free dental services for UCC student veterans. Mother supports daughter in the pursuit of a career. 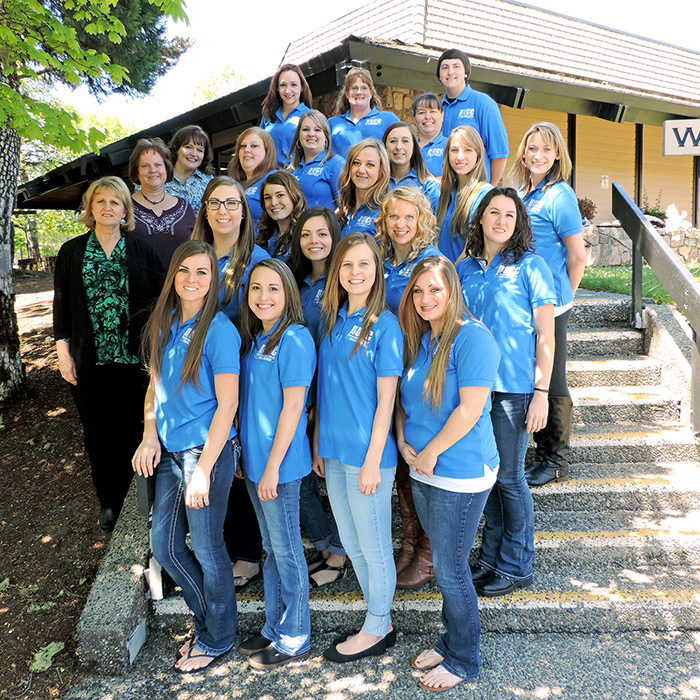 UCC Dental Assisting graduate works local and shares some valuable advice. This one year certificate program is to prepare you for employment in the dental setting. Emphasis is placed on current concepts of clinical chair-side assisting. 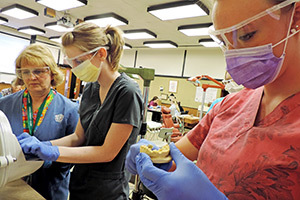 The UCC Dental Assisting program is accredited by the Commission on Dental Accreditation - CODA. View / download document explaining more about CODA. Fill out our response form. 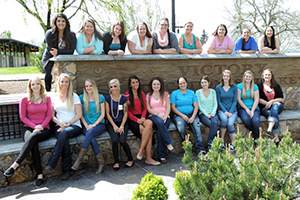 This will alert us that you are interested in the Dental Assisting program. The Dental Assisting one-year certificate program is designed to prepare you for an exciting career in the dental profession. 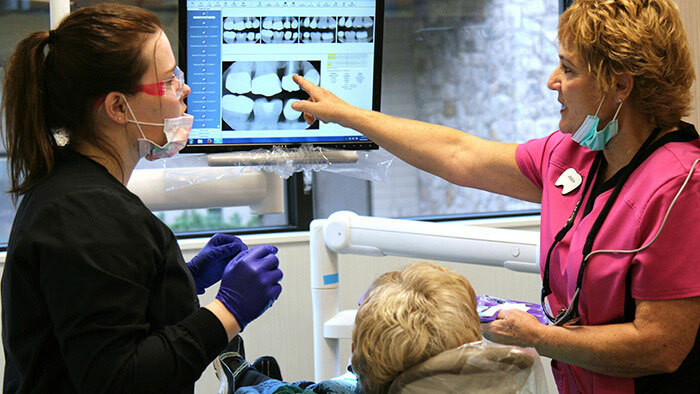 The program prepares you for licensing exams and for obtaining your Oregon Dental Radiology license (RHS), Basic Examination with Expanded Functions Dental Assistant (EFDA). 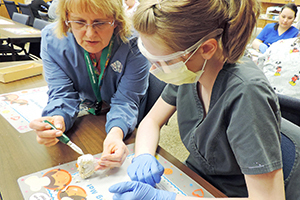 These exams prepare the dental assistant for a lifelong career in the dental profession. A dental assistant may serve as a clinical chair-side assistant, receptionist, bookkeeper, office manager, or laboratory technician. View Gainful Employment information for graduates with the Dental Assisting Certificate. This program has limited enrollment and an admission process. A physical, drug screening, background history check, and a Health Occupations CPR Card are required for admission to the program. Program admission occurs once a year in fall term. The application process begins in February of each calendar year. Students are eligible to be considered for admission to the Dental Assisting program after completing the required prerequisite courses listed below. All dental students must successfully pass a drug screening test at the time of admission into the Dental Program and are subject to random drug screening throughout the program. Failure to submit to a random drug screen or having a positive drug screen will result in sanctions per the UCC Student Code of Conduct (721.3). The cost is not covered by the student fees. All accepted dental assisting students are required to undergo a background history check prior to entering the program. Individuals with a criminal record may not be allowed into a healthcare facility as a student. Information pertaining to background history checks and disqualifying crimes can be found online through The Department of Human Services (DHS) website. The program is required to deny admission or continuation in the Dental Assisting program to any student whose background poses a threat to an individual, the college, or the dental profession, or the community.